Are you ready for some more gifts? 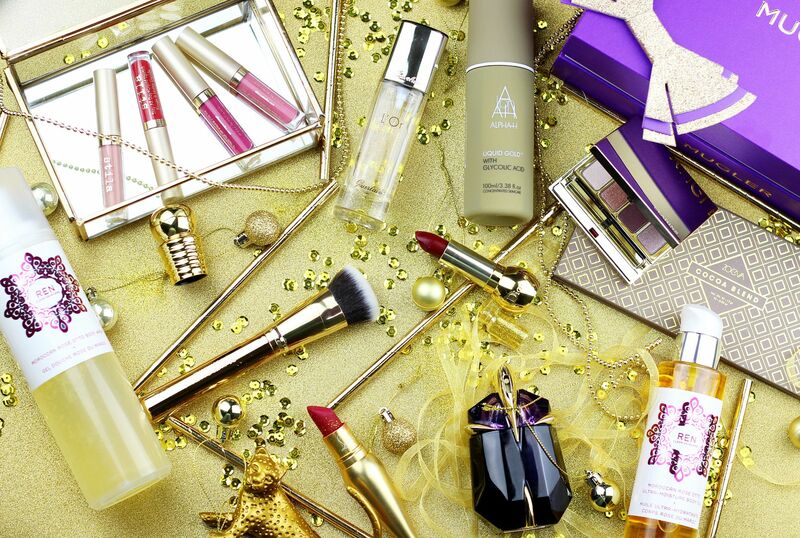 Get ready for my last gift-guide, all about everything gold and glittery. What with the gorgeous packaging and the divine rose scent, the Ren Luxury Moroccan Rose collection is pretty much the perfect pamper set. This is the nicest rose scent – it literally smells like fresh roses without anything official. 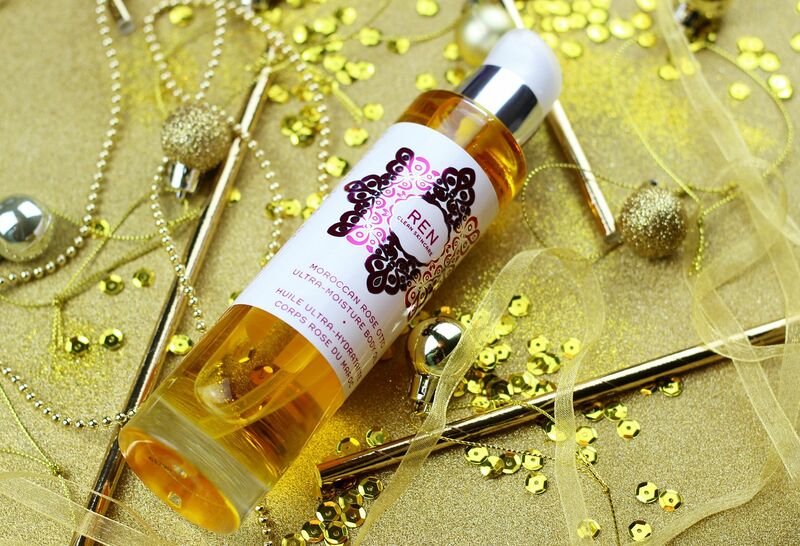 Using the scrub, body wash and then the gorgeous oil all together leaves skin silky soft and smelling like… roses. 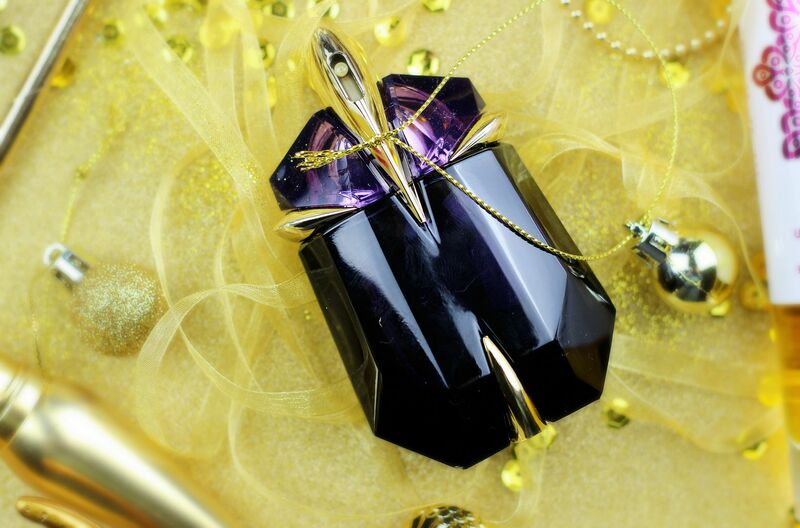 My absolute obsession at the moment is Thierry Mugler’s Alien and this purple and gold gift set is absolutely amazing. Like, my favourite colour combo and the perfume is the perfect winter pick. Perfume is always such a lovely thing to open on Christmas day! For skincare lovers, the Alpha H Liquid Gold Power of Three trilogy is an excellent money-saver – I think this is perfect for buying and then dividing between three gifts. This is a magic little liquid exfoliant – the best answer to beating grey January skin! I love this as well for lazy evenings because I just sweep this all over my complexion and I’m done. 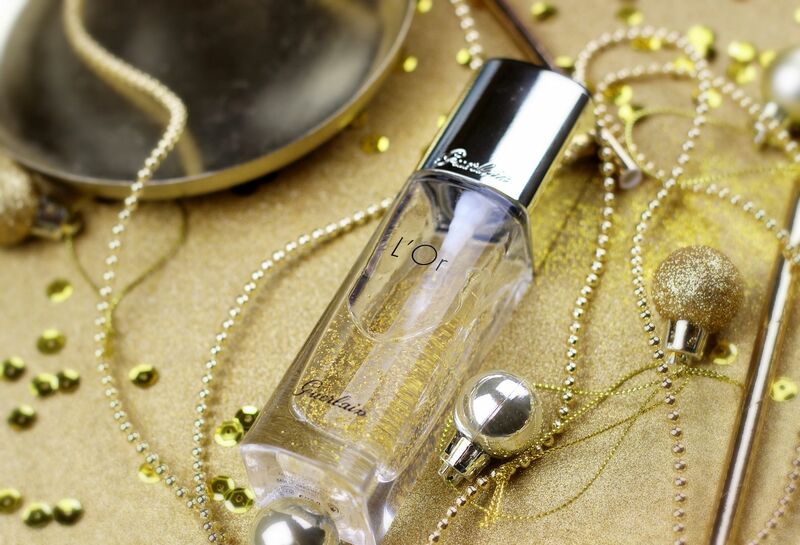 While we’re on the subject of complexions, the Guerlain L’Or Primer would always be a welcome addition under my Christmas tree… Just look at it. When in doubt, go for lipstick? 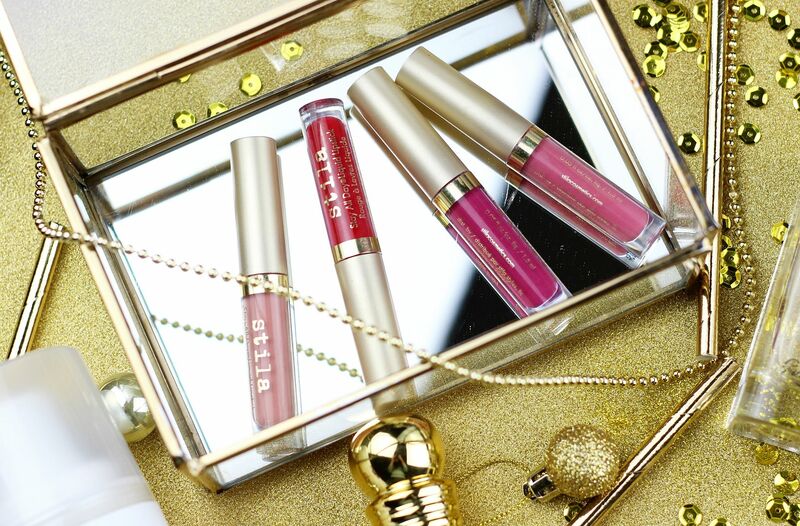 The Stila stay all day, sparkle all night set has some of my all-time favourite liquid lipsticks in adorable miniatures – perfect for sneaking into a clutch bag for a Christmas night out (or NYE!). I also think a Dior lipstick is always going to be a luxe little stocking stuffer and is Christmas really Christmas without a red lipstick? To go with the perfect red lip, a nice gold eye is always going to a winner in my book. I love the gorgeous gold packaging of the sleek little Clarins quads – I can’t think of anyone who wouldn’t enjoy opening up a Clarins palette on Christmas morning? It’s the ultimate in sophisticated makeup. Also got to mention the Zoeva palettes… perfect for gifting because they offer the nicest final touch to a present without breaking the bank. 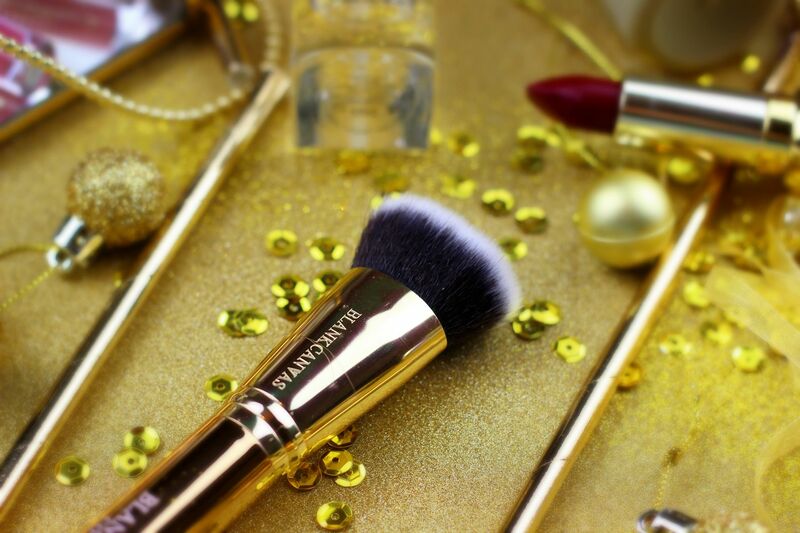 To finish things off, check out how gorgeous the Blank Canvas gold brush is? !